JFF | Sweet . Sassy . and a bit Smart-Assy . UPDATE: I added the link to the video of JFF’s Press Conference today. Check it out! If not, you missed out on Johnny Manziel breaking yet another record and looking better than ever in the run for the Heisman Trophy. 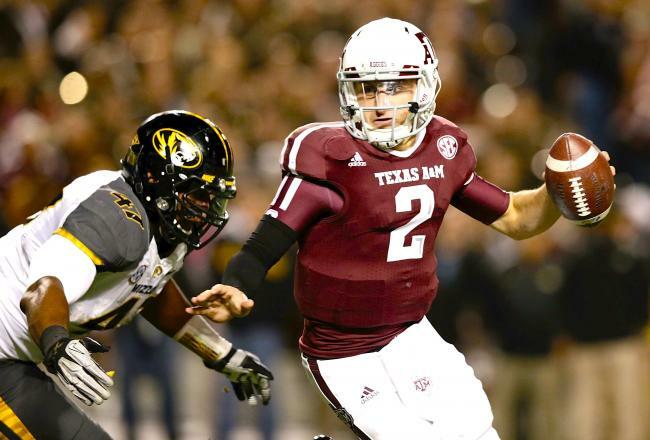 Before Saturday, JFF already had ridiculously amazing stats, but during the game versus Missouri, Johnny broke the SEC record for total yardage set by Cam Newton when he put up a whopping total of 4,600 yards for this season! There is a good article on the Bleacher Report about Johnny being the hands-down pick for the Heisman. If you read that article, check out the comments. There is one by a “John Smith” saying that Te’O should win and he is quickly embarrassed by the replies made by a few people below his comment. I got a good kick out of reading those. As many of you know, Head Coach Kevin Sumlin has a rule with first year players: No speaking with the media. I personally think it is a great policy. It doesn’t matter if you are a true freshmen, redshirt freshmen, or transfer senior…if it is your first year to play for A&M, you don’t speak to the media. I think it keeps the players focused on their true goals for playing football and to get to really see what it means to play for Texas A&M before being put in the spotlight. I also think that it helped build up the publicity around JFF and put more creative ties to “The Legend of Johnny Football.” I have heard plenty of Chuck Norris-style jokes in terms of Johnny Football. They are hilarious. 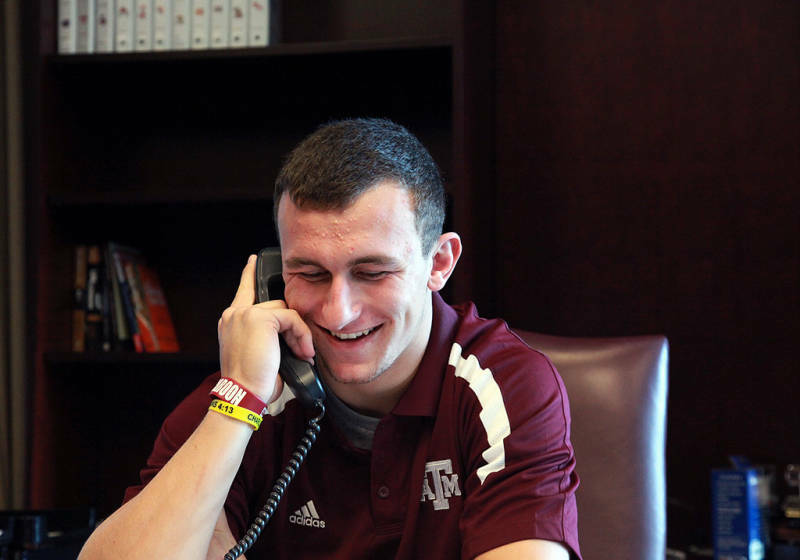 Yesterday, Kevin Sumlin allowed Johnny to speak to the media via teleconference. If you weren’t able to listen to him, do it now! Here‘s the link. It is an hour long but definitely worth listening to. If I wasn’t already completely impressed with Johnny Manziel before this teleconference (I was but that’s not the point), I definitely am now. The kid is incredible — so humble, sincere, a great leader, and not the least bit cocky. EVERYTHING he said came back to being a team and giving his entire team credit for his success. That’s not a trait you see in many athletes, especially athletes that have had the success that Johnny has had this season. On several occasions, reporters asked him how he felt about becoming a celebrity, his feelings about his success this season, and his thoughts on being a front-runner for the Heisman. He responded with, “I’m extremely, extremely blessed and extremely fortunate to be able to come to Texas A&M and play with this group of guys that are on this team,” “Without these guys, none of my individual success would be anything. As a team we’ve grown. We’ve taken huge strides. It really is a testament to this coaching staff and this group of guys involved in this program.” To the Heisman questions he responded with, “I feel like the situation will play itself out. Whatever is meant to be will happen. So I am just doing what Coach Sumlin and them ask me to do right now as far as resting and getting ready for bowl practice and making sure our team stays focused ready to hopefully come out and take care of business in a bowl game. I think the Heisman and all the other awards like that, they’ll play themselves out.” Never once did JF say anything self-centered or cocky, even though he clearly has the right to do so with the stats he has put up this season. I think this teleconference definitely helped him be favored in the public eye just hearing how mature and well-spoken he actually is. 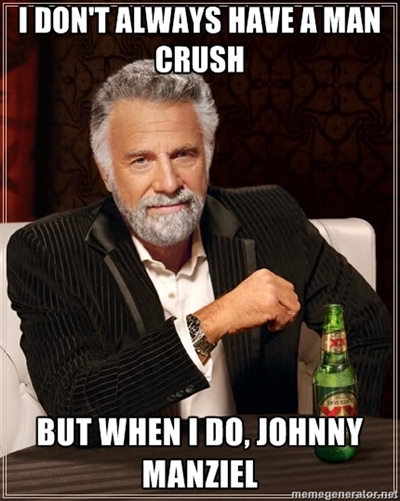 I didn’t think I could be more of a fan of Johnny but he even shocked me a little. 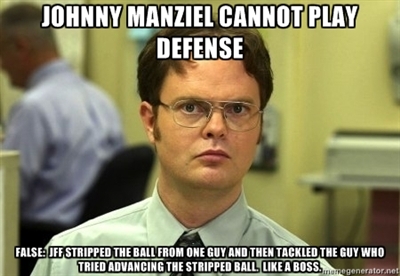 Johnny’s Press Conference MEMEs. These are pretty funny. My personal favorite is the one about Bertolet (the Aggie kicker). Feeling embarrassed? At least you aren’t this woman singing a song about Johnny Football on the internet. In the teleconference, Johnny said he hadn’t seen this video. Even if I had seen it and I were him, I would say the same thing. This is embarrassing. Every Males College Football Fan in America. Last but not least, a highlight reel of Johnny Manziel. The Amazing Johnny Manziel. There is no reason this guy shouldn’t win the Heisman. The single only argument that anyone has is that he is a freshmen. If he was older, there wouldn’t even be a question on who should win this year. 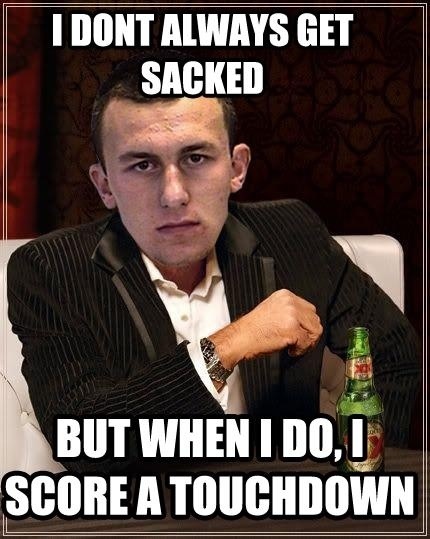 Heismanziel. He.Is.Manziel. He deserves it. Give it to him.